Register Your Superior Plastic Products Warranty Online Today! 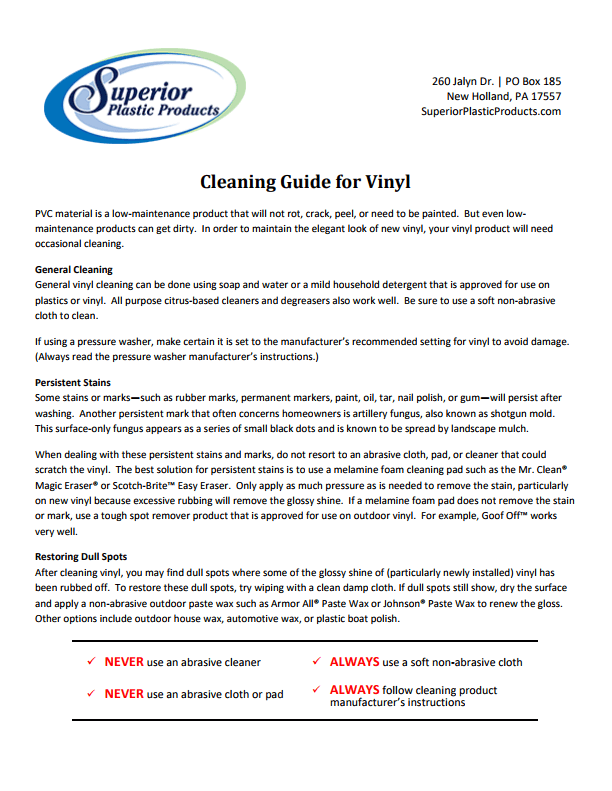 This form is to be filled out by the property owner within thirty (30) days of the installation of Superior Plastic Products, Inc. vinyl products completion. 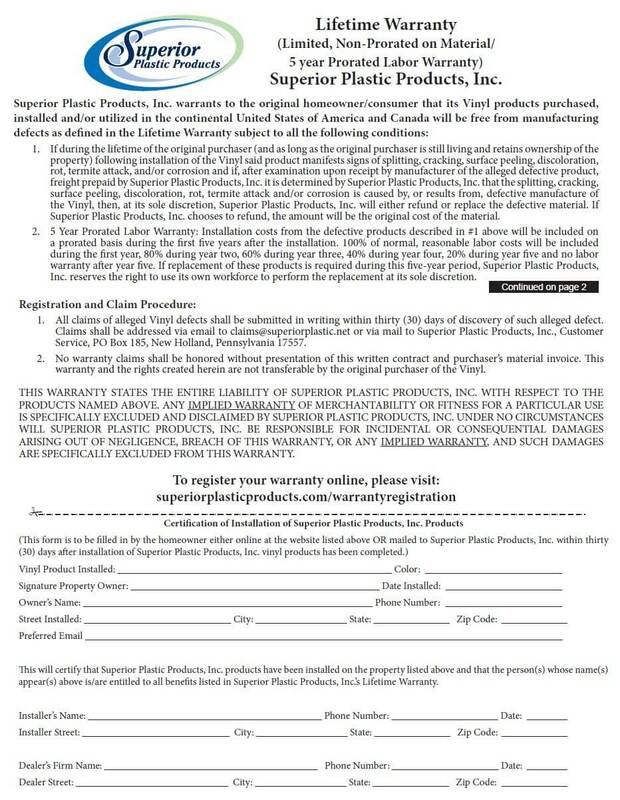 This certifies that Superior Plastic Products, Inc. products have been installed on the property listed and that the person whose name appears is/are entitled to all of the benefits list in our Lifetime Warranty.